Meaning of the word Guru. Guru - The Biggest Block. Let's cover all the points one after the other. Meaning of the word Guru - Guru word is made of two letters. "Gu" + "Ru". "Gu" means Darkness and "Ru" means Light. So, one who takes you toward Light/Brightness/Knowledge from your Darkness/Ignorance is a Guru. Guru is commonly referred to Jupiter/Bruhaspati in Astrology and it also means Heavy, most probably due to the size of Jupiter. Gravitational Force is translated in hindi as Gurutvakarshan. So, there is a natural attraction towards Guru. It also means that your Guru attracts you towards himself and it also means Guru is the Heaviest Energy you may deal with in your life. I will explain why? So, these are a few literal interpretations of Guru. Guru Vs Teacher - The main reason why we end up in treating every other person as our Guru is because we are brought-up with this kind of thinking that whoever teaches us anything is our Guru. It leaves no difference between Teacher and Guru, but there is a huge difference. These days we hear words like Yoga Guru, Cooking Guru, Stocks Guru and what not. For God's sake, we need to make a distinction between Teacher and a Guru. Now, I am not belittling the importance of Teachers here. So, these two analogies may be able to you the distinction between Teacher & Guru and also the respective importance of both. Teacher is like an oil lamp which you have in darkness of night. Very important in that darkness but when Sun rises in the morning, you don't need oil lamp anymore. That Sun is Guru. A Teacher gives you theories, philosophies and all the information of the world. But Guru comes and destroys all the theories, philosophies and information through his wisdom. All I mean to say that you can have many teachers but you can have only one Guru. So, the people you are calling Yoga Guru, Cooking Guru & Stocks Guru are actually your teachers of those areas of life, but you are far away from getting your Guru. So, here is my response to all people who consider me as a Guru that at most, I can be your Astrology Teacher (though I doubt if I am even that) but certainly not your Guru. Who is a Guru? - As I said, Guru is like a Sun which makes you let go of all oil lamps you have had so far. It is symbolic of letting go of all your theories, philosophies and so-called knowledge we have. It looks very easy but in action it is very tough because till the time we found Guru, we were living our lives based on the same theories, philosophies, principles and so-called knowledge. Those things were our very foundation on which we were standing. And now a person is coming and he is adamant to destroy the foundation on which we are standing? He is actually telling us that so far we were fools to believe in such theories and principles. Those, who never came in contact of real Guru and are fascinated with the thought of a Guru, may have no idea that Guru's 1st job is to prove that everything you were following till now was wrong. It smashes the ego, which is the basic job of Guru. I faced this awkward situation when I first started reading Osho Rajneesh. Those who knew me before 2015 would remember that I was a highly religious person and after reading almost every religion, I had bumped into Osho and his books. Within 2 hours of 1 preaching, he thrashed every belief of mine, lol, and I was looking like a fool. So, if people have desire of receiving a "Real Guru" then be ready to let go of every belief or foundation you have. A Real Guru will never satisfy your ego. Someone once asked Osho, Can't we disagree with you? 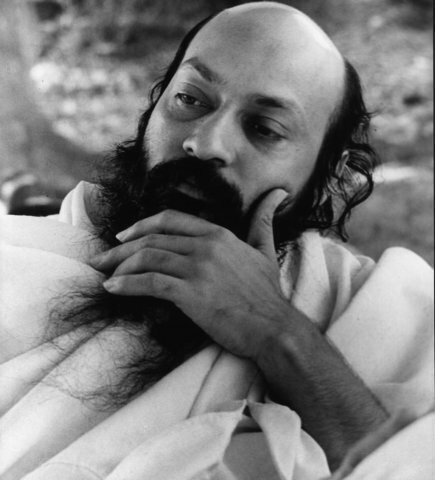 Osho replied, you can agree or you can disagree, but it only shows that you are still living in your minds whereas my effort is to take you beyond mind. Need for a Guru - Besides fascination or popular thought, what is the need of Guru? Why we need a Guru? Can't we go through our lives without a Guru? Well, so many people go through, then why others seek a Guru? Besides any other popular reason, if someone is really interested in spiritual development then a Guru is needed for just one purpose, i.e. for thrashing your ego. His only job is not to let your ego develop on any point. So, if anyone can thrash his own ego then he doesn't need a Guru but the basic thought that "I don't need a Guru" itself gives an Ego. So, if you are on spiritual path, Guru is needed to remind you every moment of your ego assertions. And it can be ego of anything. It can be ego of wealth, caste, religion, language, knowledge, country and family etc. etc. It can even be ego of the fact that I am on spiritual path and I do spiritual practices, hence I am superior than others. Guru's only job is to remind us of the times when our ego started showing head. I personally feel that your Guru should be someone whose heights you can never reach. Like, I consider Osho as my Guru and I know that no matter how much I do, speak, write or read in my life but I will never be able to cross Osho's achievements in this world. So,whenever a touch of proud feeling develops in life, I look upon Osho and I realize that I am not even near to his knowledge and wisdom. And there goes the ego. A Real Guru - But we don't want a Guru who is controversial. We want someone who is popular. In beginning, people were wondering how I am so open quoting Osho everywhere considering his super-controversial image? A Real Guru will always be controversial because he wants to bring some change in you, society and world. Change itself is controversy as it is about going against the set tradition. It is about challenging the on-going scenarios. That's why all the real Gurus and enlightened beings were controversial in their times. It is very easy to sit in Buddha Temple now and worship his idol whole day but it was impossible to sit before Buddha for even a moment as he will start telling you to do this and do that. Every enlightened being or real Guru was controversial and disliked in his time. It is only after 100 years people started worshiping him as worshiping an idol looked easier than changing self. You can take stories of any enlightened being and you will find the same. Krishna is still controversial because of his lifestyle and even in his times, he was only liked by Pandav Brothers. None in Kaurav camp, except few, even wanted to see his face. Jesus was found so controversial that he was hanged on cross. Buddha spoke largely against the superstitions of Brahmins and was the most controversial figure of his time. The fact that Mahavira didn't find his due place/importance in any of ancient Hindu Scripture speaks a lot about his controversial contribution against blind faith of that time. Muhammed was controversial as he challenged the basic system of prayer during that era. Give me name of one enlightened being or a real Guru who was not controversial in his time. If you want to change anything, you have to become controversial. Another sign of a real Guru is that he reaches-out to his student at student's level. He doesn't start blabbering his grand knowledge in front of a student who knows nothing. He understands the level of student and picks him from there. He doesn't have any issue in going down to student's level. People who understood Geeta would know that when Arjun started asking questions about legitimacy of fighting the war, then Krishna's first words were - "you are talking like an intellect but your way of talking is foolish". So, even Krishna had to go down to Arjun's level and accept him as intellect for a moment though he was completely foolish. Krishna had to do that so that at least a discussion could start between the two. If he had directly started talking about Sankhya Yoga, Dhyan Yoga, Karm Yoga, Bhakti Yoga etc etc then there was no possibility that Arjun would have understood anything. There is a funny story that one night a Fakir/Wanderer was sitting at a hill and a Glow Worm came & sat near the Fakir. The moment Glow Worm enfolded its wings, the electricity of whole city went off. Glow Worm said, you see, even if I take rest for a moment, this city gets covered in darkness. Fakir replied, you are so right and I am sure that if you don't fly for a day then whole world would be dark. Story goes that by morning, Fakir turned Glow Worm in to another Fakir. But to do that 1st Fakir had to come down to the level of Glow Worm. So, a real Guru will always come down to the level of student and will pick him from there and bring him to Guru's level. Guru - The Biggest Block - But then comes a point when Guru becomes the biggest block/obstacle in your spiritual development because he destroys all your foundations and in the end you get a new foundation in him. He becomes a new source of hanging here. So far, you were dependent upon your theories and principles to take you higher, now you are dependent on your Guru. Now, you can't think of living without Guru. So yes, Guru is very important for spiritual progress but there comes a time when he is the biggest block in same journey. It is necessary to let go of Guru also at right time. Zen Buddhism has a revolutionary quotation, "Meditating, if you come across Buddha someday then KILL HIM IMMEDIATELY". Here, Killing means Ignoring. It means that don't let anyone become a block between you and your God. None should be in between, not even Buddha. The same thing was asked to Buddha by his students at the time of his Nirvana that if we find you someday while meditating then what we should do? Buddha replied, Ignore and move ahead. It means that Guru is not your destination. Your destination is source energy. Guru should be a help not obstacle. Reverence towards Guru is another type of attachment. Hence, KILL THE BUDDHA IMMEDIATELY. Conclusion - In the end, it is my humble suggestion that I am not a Guru, I can at best be a Teacher. 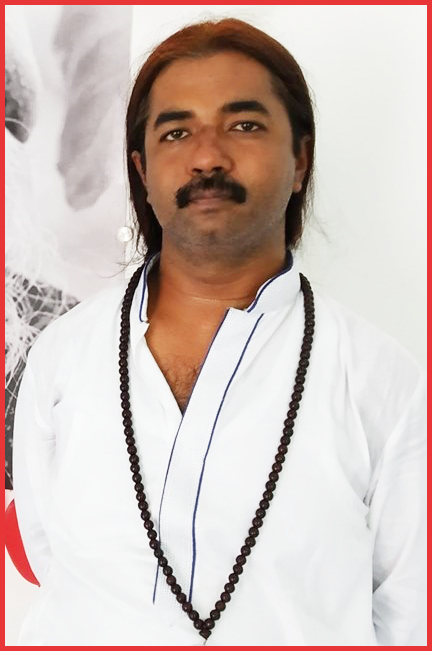 Those people, who think that I am Guru, are just overwhelmed with the information I have written down and provided. But it is just information. If you also read same books and memorize things then you can also have that information. Reading and Memorizing is not Knowing/Understanding. This is result of our education system that someone who memorizes things well is considered as learned. So, please don't go into that path. Especially in this day and age when we are seriously suffering from so-called Gurus, Babas, Scholars and Soothsayers. Take it for granted that anyone who is pleasing your ego is not a Guru. Last but not the least, Guru comes in life when Student is ready. If you haven't found your Guru then no need to go & search for him. You are not yet ready. You need to work on yourself. The day you are ready to face that energy of Guru, he will automatically come in life. Like, if I had read Osho 10 years ago then I won't have understood anything. So, all this while, I was just preparing myself to understand Osho. So, the day when you are fully prepared, he will be right in front of you.